I first learnt to knit as a child. I was too sick for school one day, and my parents left me at my grandparents to recuperate while they were at work. My grandmother was an extremely accomplished knitter. I still envy her incredible technical facility when I come across her work. It is a rare winter day, when my grandfather and father are not outfitted in her sweaters. She taught me to knit and purl on some leftover fushia acrylic (it was the 80’s), and I promptly forgot everything she taught me. 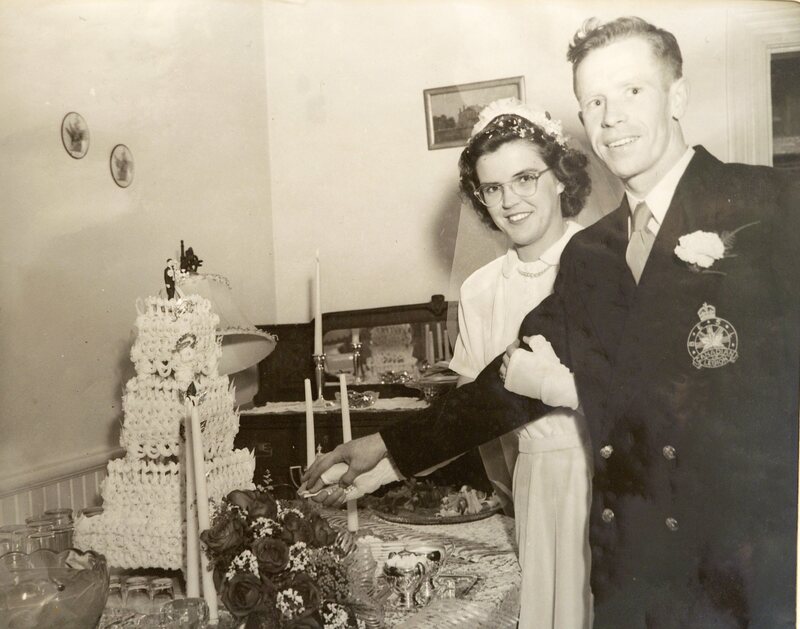 At the first baby shower I ever attended, about 20 years later, I saw the expectant mother presented with a gorgeous baby blanket, hand knit by her sister, and I remembered that long ago day on my grandmother’s couch. Certainly, I told myself, I was capable of similar feats. After a number of lessons at local yarn stores, and many, many viewing of instructional YouTube videos, I was well on my way. My grandmother died this summer, but it was a real cathartic relief for me to be able to piece together her unfinished work, and give her needles and yarn stash a home. I was able to finish a pair of socks she was making for my grandfather, and never has a single project felt so good to finish. Since then, I’ve learned to tackle every pattern that catches my eye, and gone off in search of new challenges. My first adventures in original design involved modifying existing patterns, so that even if I was repeating a pattern (which happens a lot when you are the only one knitting baby blankets and toddler sweaters in a big family) the work itself was unique. sweater, which might in the end need to be completely ripped out and begun again. My 2-year-old son’s all-consuming love for Thomas & Friends, and the difficulty of fitting his rather large (and supremely loveable) head provided an obvious first project. 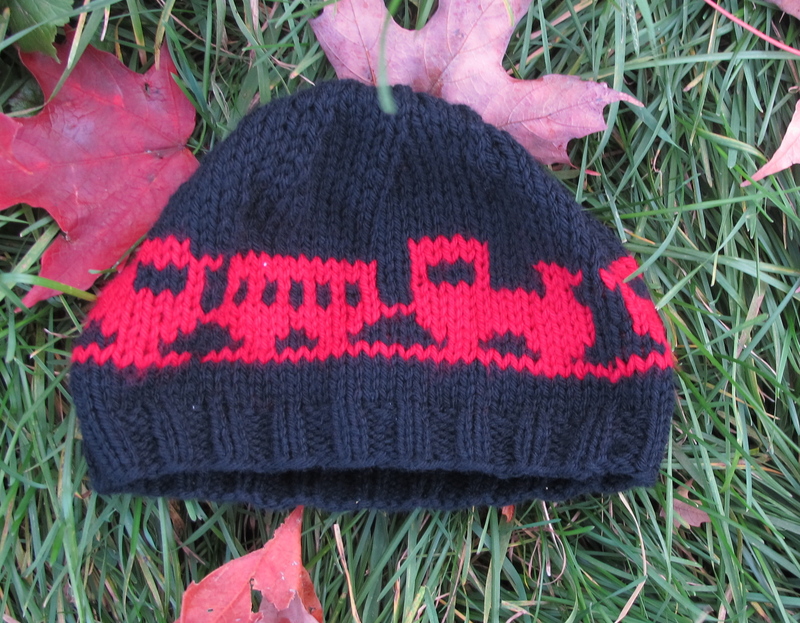 My Choo-choo toque took two attempts to get just right, but I’ve knit lots of hats over the years, so the basic construction was an absolute breeze. It’s much easier to approach original design when you are risking a few hours of work and less than half a skein of yarn, and when the math and construction required a relatively basic, as they are for hats and scarves. Two reference books have been absolutely invaluable when it comes to modifying and designing original patterns. Barbara Walker’s A Treasury of Knitting Patterns has provided fantastic direction for texture, and I’ve experimented with a number of the patterns on socks. Ann Budd’s Top-Down Sweaters is full of sizing charts and construction techniques that have saved me a lot of time and spared me some awkward measuring of relatives. From the hat, I’m moving to new challenges: next up creating a sweater for my mother-in-law inspired by the beloved sweater that got mangled in the laundry. This entry was posted in Knitting and tagged design, knit on October 22, 2012 by lisagono.